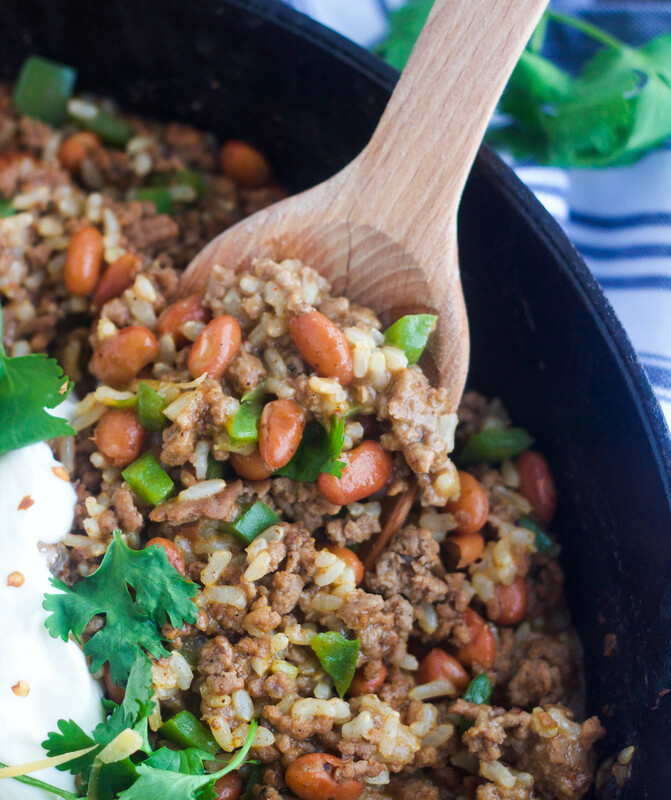 Done in less than 20 minutes, this Beefy Naked Burrito Skillet is quick, healthy and absolutely delicious! It’s going to be a lifesaver on those crazy, busy days! Simple, fast and delicious dinners are definitely my thing. It’s not that I don’t love making meals that take a bit more time, but when I can have dinner on the table in say, 20 or 30 minutes instead of 2 or 3 hours, I’m almost always going to pick the faster one. 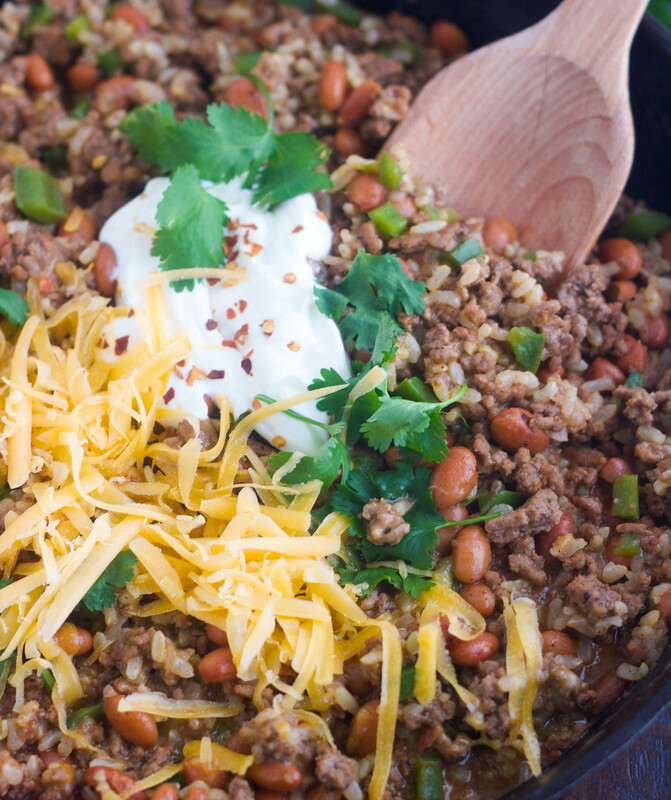 This Beefy Naked Burrito Skillet is one of those super fast, super simple and delicious meals. 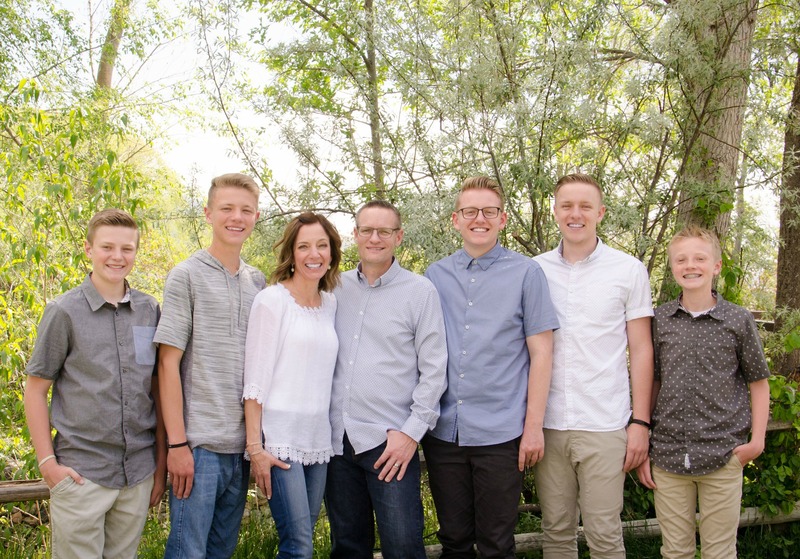 We absolutely love this! And of course, I love it because it’s a skillet meal (my fav for so many reasons!). 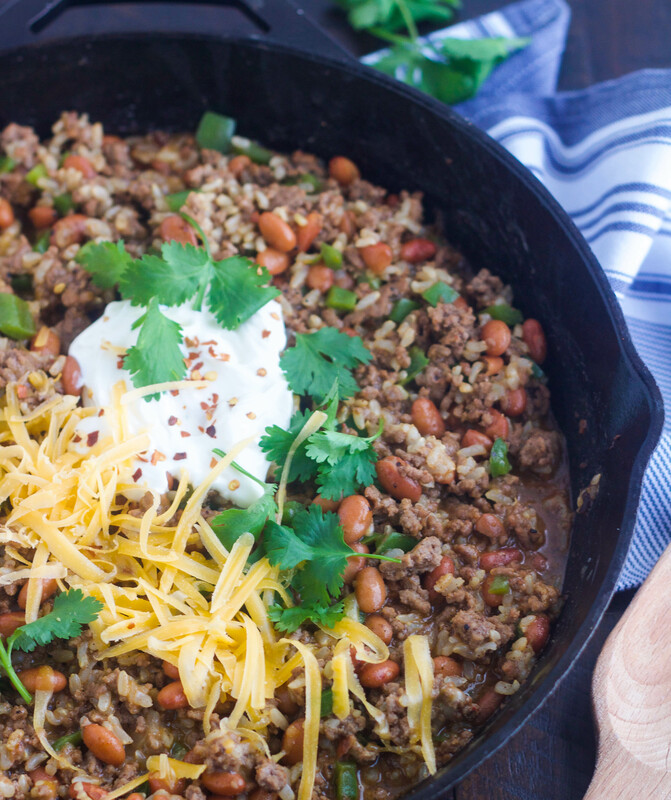 One of the things I love about this skillet meal is how versatile it is. You could use ground turkey or chicken instead of the ground beef. If you’re not a fan of pinto beans, swap them out for black or kidney beans. I also think this would be delicious with pepper jack cheese to give it a little bit of a kick, or really any cheese would be delicious. It’s obviously called “naked burrito” because you don’t use tortilla shells, but that doesn’t mean you can’t. Feel free to fill tortilla shells with this or dip some tortilla chips into it. Honestly, it’s your call here. We love this as is, but will sometimes crush a few tortilla chips op top and then drizzle homemade Cafe Rio Dressing on it. Now if you’re wondering about the frozen brown rice, I’ve bought it at Trader Joe’s and Smith’s Food & Drug, and I’m sure other grocery stores carry it. If you have a hard time finding it, you can certainly cook your own brown rice and just add it in at the same point the directions say to add the frozen rice. In a non-stick skillet cook ground beef, onion and bell pepper over medium-high heat until beef is browned and onion is translucent, about 5 minutes. Add cumin, salt, pepper, chili powder, pinto beans, rice and broth. Bring mixture to a boil then reduce heat to medium-low and simmer, uncovered, for about 5 minutes, or until most of the liquid has been absorbed. Remove skillet from heat and stir in the cheddar cheese. Serve topped with desired garnishes. 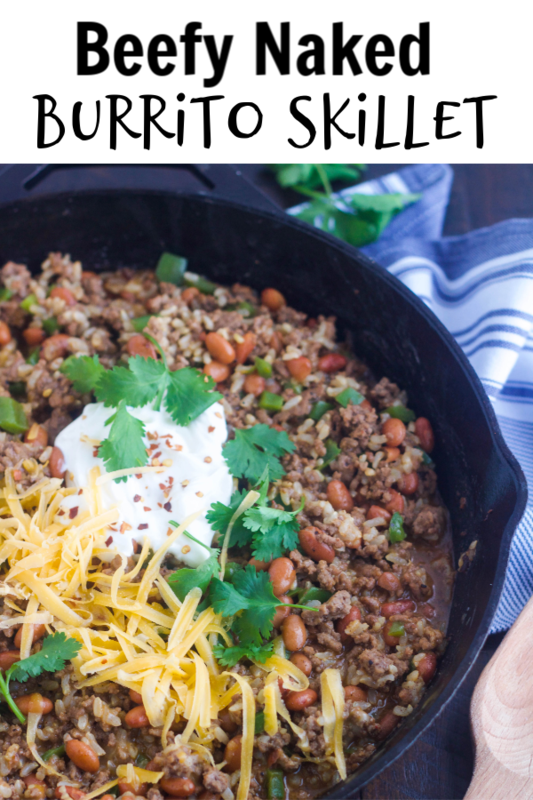 Check out some of my other favorite skillet meals! Quick meals are my favorite! Can’t wait to try this one! !